Is the “Emergent Church” Still Relevant? Yes, But Not How You Expect. SEAN MCDOWELL: The “Emergent Church” seemed to propel into church conversations in the early 2000s. What was the EC and why was it so popular for a season? 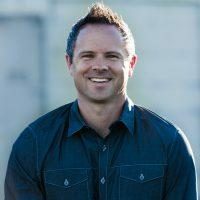 SCOTT SMITH: The “EC” started as a “conversation” amongst several younger evangelical leaders who were concerned about deep shifts they were seeing in culture and specifically youth ministry. They started to question received methods about how to do church, e.g., evangelism worship, preaching, etc. They also began to frame this conversation in terms of shifts from modernity to postmodernity, along with philosophical implications for living the Christian faith. They raised many questions about such things, and in doing so they tapped into what others were experiencing but didn’t feel like they could give voice to in many of their churches or organizations. MCDOWELL: What were the core issues at the heart of the EC conversations? SMITH: There were many—some were about how to be faithful as Christians in light of a shift in the “times,” from modernity to postmodernity. A key aspect of that was their claim that our understanding of the gospel has been deeply shaped and distorted by modern, western mindsets. With that also came philosophical reflections, such as in how we can know things. In that respect, they stressed the belief that we always are “situated” by many shaping influences (culture, language, historical location, etc.). It is like having on a set of lenses that have been “shaped” by these factors, such that we cannot ever achieve a direct gaze into reality as it really is. That, we cannot take off our glasses and be neutral or unbiased. MCDOWELL: Your new book is called, Authentically Emergent. Why that book now? Isn't the Emergent Church "yesterday's news"? SMITH: McLaren’s A New Kind of Christianity came out in 2010. When I gave a critique of his updated views a bit later at the Evangelical Theological Society, someone commented afterward (paraphrased), “Can’t we just label him as a heretic and move on? !” That mindset reflected the fact that some strident evangelicals had labelled him and other emergents as heretics. In so doing, they thought they were done with them. Evangelical publishers pretty much did not publish more of their stuff. But that response was shortsighted. The influence of McLaren, Jones, Pagitt, and Bell has morphed and increased over the years. They now write for some of the largest publishers (Harper, e.g.) and have their own ministries and training conferences. Jones now has a PhD and teaches as an adjunct. He also is an editor for a series for Fortress Press. Bell's views have become widely publicized through his podcast, an e-course available through Oprah.com, and a television show on her network. McLaren still writes voluminously. And, they are asking and giving persuasive answers to many, important questions on the minds of many Christians, especially younger ones. MCDOWELL: Looking back now, what did the church learn (or what should it have learned) from the EC movement? SMITH: Since my first book on the “EC,” Truth and the New Kind of Christian, I think the Lord has brought to my attention something else. I have reflected a lot more about evangelical churches in the west, and all too often why we don’t seem to be marked by the power and presence of Jesus Himself. Put another way, all too many do not seem to be living in the fullness of the Spirit and the fullness of truth. If that is the case, then, biblically, it means that all too many are living (to various extents) in their flesh (their sinful propensities). And what I have found in those studies has reminded me of what these emergents have been saying—that there are several things they were right about in their various criticisms of conservative and evangelical churches. I tried to highlight some of their accurate observations in Truth, but since then I have realized that they are right about much more that is wrong in all too many of these churches. BUT, their (mis)diagnoses of these problems—that evangelicals have embraced a morally corrupt, historically contingent view of the gospel, for instance, or that they continue to embrace a mistaken view of our having souls, being separated from God, etc.—misses the root problem: that both these emergents and all too many evangelicals in the west have been deeply shaped by a mistaken mindset, naturalism, in the sense that God has become largely irrelevant to their daily lives. So, the emergents’ recommended “solutions” cannot result in Christians living “authentically.” Their views cannot result in Christians’ lives that “emerge” from the problems they and others have pointed to in the church. Their views cannot result in a Christianity that is truly “progressive,” i.e., resulting in great progress for the kingdom, so that Jesus is manifested in our lives. For their views are doomed to failure, and they repeat the same problem affecting far too many evangelical and conservative Christians today – we have been deeply naturalized, or de-supernaturalized. Instead, I point both these emergents and evangelicals to the true solution – living in the fullness of the Spirit and truth that the Lord has given us. MCDOWELL: What are some ways these emergents are influencing the church now? SMITH: Here’s one in particular: I think they are having a big influence on younger believers (millennials and younger) by their asking many questions that are really on their minds, and they are offering appealing, persuasive answers. Some of the issues include: How could a loving God send people to hell? What should we make of the OT stories of God’s (apparently) committing genocide? How could a loving God blow up in rage and violently kill His Son? How can we wise and intelligently learn from science (rather than have a default mindset of skepticism and antagonism)? How can we not be imperialistic as Christians (including with the good news)? What about other those in other religions? How should Christians think and act about issues of poverty, oppression, colonialism, racism, sexism, gender, global warming, and more? And more … Actually, I think their voices are giving a “Christian” lens to the many such issues at work in broader society, and thus they are influencing many on even conservative Christian colleges.